Have you seen the new Opencart version 2? It’s a really nice re-build of the ageing 1.x version of the simple open source shopping cart. If you’ve decided you don’t want the hassle of trying to tame Magento to your needs, you’ll notice that it’s a whole lot simpler. Unfortunately the developers have left out a critical feature in my mind. 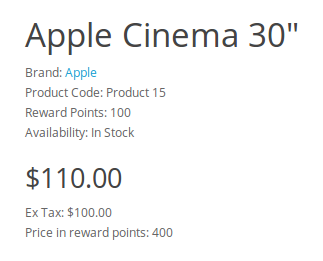 You must enter a product price (and any discounts, options, specials, etc) excluding any taxes. 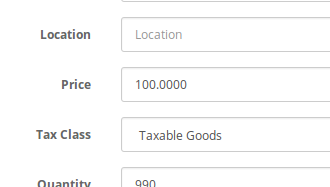 Tax – as configured by the store set-up, and applied according to the location of the buyer – is then applied to the product for display on the website and in the cart/checkout. If you our your client are selling products locally or nationally, but not internationally this might seem like a bit pain in the behind. Frankly I can’t understand how they would leave such a crucial piece of functionality out of the code base. Opencart 1.x is notoriously difficult to extend, beyond a few simple functions like payment gateways and shipping methods. Fortunately the community developed vQmod. This add-on makes a few changes to the core files, and then uses find-and-replace XML files to create modified versions of the core code and uses them instead of the originals. You can get vQmod files to change just about any functionality in OpenCart 1.x. 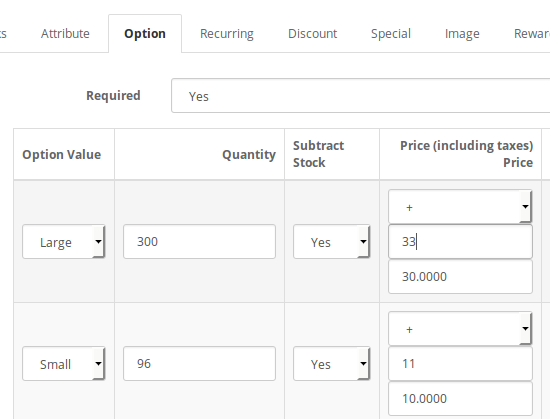 In Opencart 2, the developers have included their own system for rewriting the code base called OCMOD. I’m sure you can guess what it stands for. It works on exactly the same principal, although there was some disagreement on the way the XML files should be structured so the two are not strictly compatible.